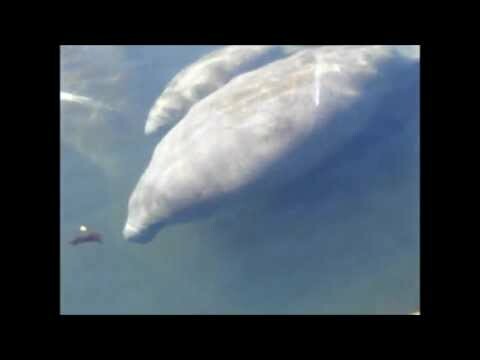 The Florida manatee (Trichechus manatus latirostris) is a endangered species. There were a lot of babies today. Hi,i tried to join the mission u suggested but i think the link of the mission is broken.If possible,kindly send me the correct link. The videos are grate the definition is not important when you see something amazing. Thank You, Gerardo!! Making videos is interesting, but sometimes they do not turn out very good. Lol I like your diving videos with the sharks. That must be a rush. Have you tried to video them yet? I haven't got the nerve to go that deep into the water. If you are on you tube add me. Thanks for the kind comments, Gerardo!! Thank you, Tracy!! Hopefully, I will get back out to see them again, before it warms up and they head back to the Gulf of Mexico. Thank you for the photo it beautiful and really nice to see! Thank You, Palaimon. They come inland during the cold weather. I don't go near them, because the state government and Manatee rescue operations advise not to touch them or bother them. So I just take photos from the banks or shoreline. i love this animals, one time in my life a wanna dive with them! !